In the context of our citizen science project Is it Alien to you…. Share it!! !, members of iSea presented two articles in the scientific journal of the Hellenic Centre for Marine Research, Mediterranean Marine Science. The first article presented the expansion records of Lagocephalus sceleratus (Silver-cheeked toadfish) in the Adriatic side of Greece, of Cassiopea andromeda (Upside-down jellyfish) in the Corinth Gulf and of Pterois miles (Lionfish) in the Ionian Sea. 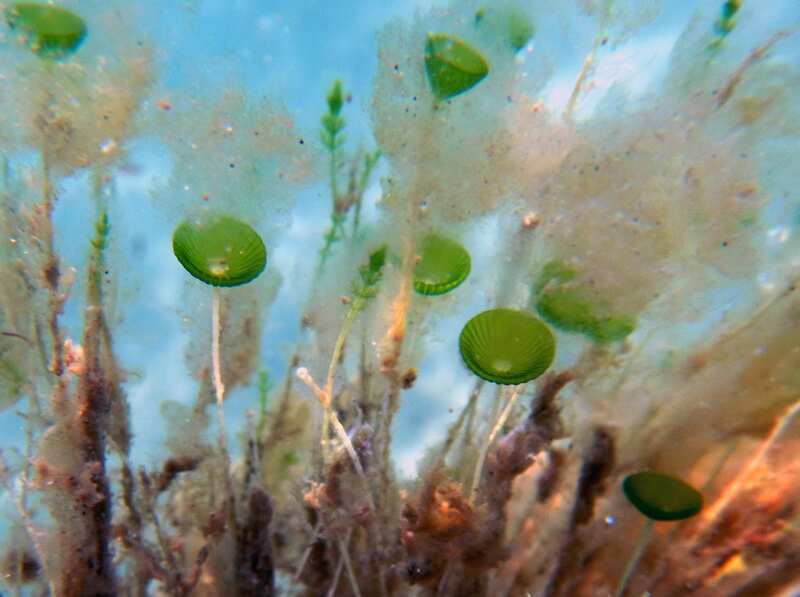 The second article published in collaboration with the researcher Kostas Tsiamis from the Joint Research Center of the European Commission and presented the first record of the green alga Acetabularia caliculus from Greece. We would like to Anastasios Drosopoulos, Petros Mimidas of Sea World Diving Center Corfu, the Association Toulipa Goulimi and Elias Papadopoulos for contributing meaningfully to our efforts for monitoring the alien species and the marine biodiversity in Greece.